I'm not affiliated with the seller at all, but I'm putting it out there for my fellow Bricksetters since I think it might have a buyer here. $900 is a bit crazy. 400 sets issued in April 2005 for the "48 Hours of the Force" promotional build events held when Walmart released the SW Episode 3 sets. 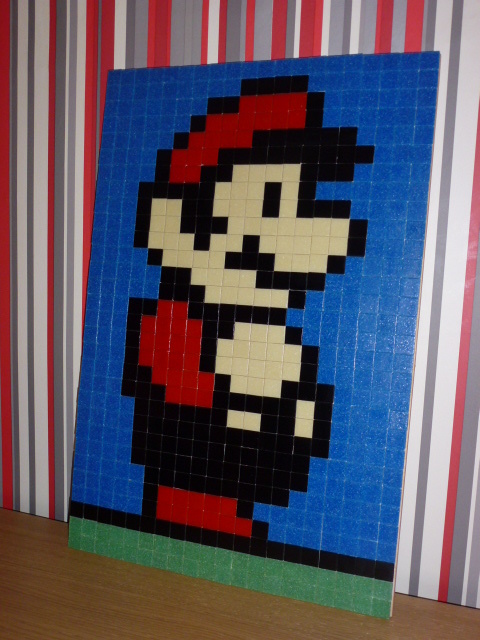 Mosaic size is 96 x 144 studs. Baseplates glued to 1/4 inch wood board. Instructions are full-size, full-color, laminated build sheet." ^So one of four-hundred of a kind:). Not that I'm paying it, but I'd come closer to paying that kind of money for a full on mosaic like that than I would a convention exclusive minifigure. But hey, thats just me. Part out value is $511. I bet if you offered the guy $500 you'd probably have yourself a LEGO mosaic. Heck, if I lived in Phoenix I'd offer him $250-$300 just because I think it is pretty cool looking. Yes. It think the price is High. Even at $250 I'd balk, but I'm not into SW or M&M's for that matter. What is crazy there Is one in Oklahoma lot cheaper. Strange two in craiglist at same time for being that rare. Now I just need to find one listed in California! Looks good, but is the Lego logo a sticker?